The first of its kind, this potted cleansing bar is a jar full of revolutionary pigment relief. Paired with an anti-microbial silicone ‘Exfolibrush’ to release active ingredients, the brightness-boosting bar is enriched with kojic acid, to help you put up a formidable fight against discolouration. 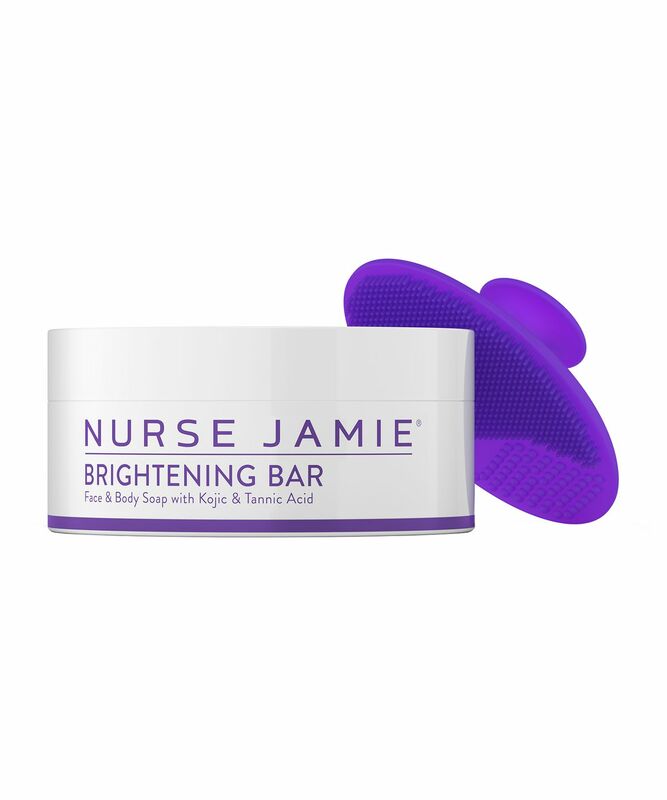 Living up to the celebrity hype it has generated, Nurse Jamie’s Fade To Light Erase Bar In A Jar is a revolutionary treatment for pigmentation reduction, combatting discolouration caused by the sun, acne and other skin conditions. The unique cleansing treatment is formulated with pigment-busting actives including kojik and tannic acids, which help to balance the skin’s colouration, as well as eucalyptus oil, which helps to brighten skin. Perfectly paired with an anti-microbial silicone ‘loofah’, you simply lather up the solid ‘bar in a jar’ and buff into skin to activate the renewing, relieving actives. 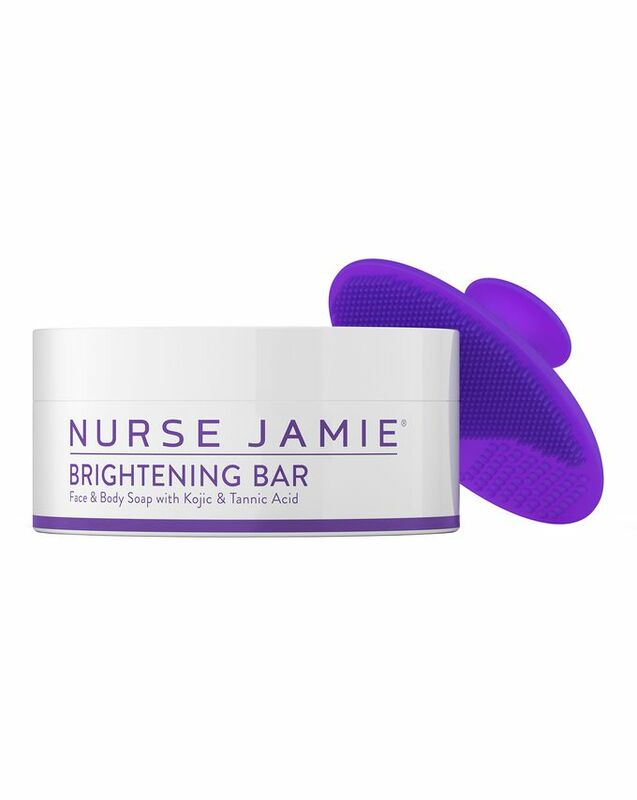 Unlike tiresome traditional treatments for uneven skin tone (which often involve leaving a sticky serum on overnight) this brightness-boosting bar reveals a refreshed complexion in as little as two minutes, lightening only problematic areas for an even result. Moisten the enclosed Exfoliband Silicone Loofah and create a creamy later with Pigment Erase Bar in a Jar. Cleanse target areas, allowing lather to remain on skin for around 2 minutes. Rinse with warm water and pat dry. Follow immediately with Fade to Light Brightening Moisturiser and Broad Spectrum SPF30.